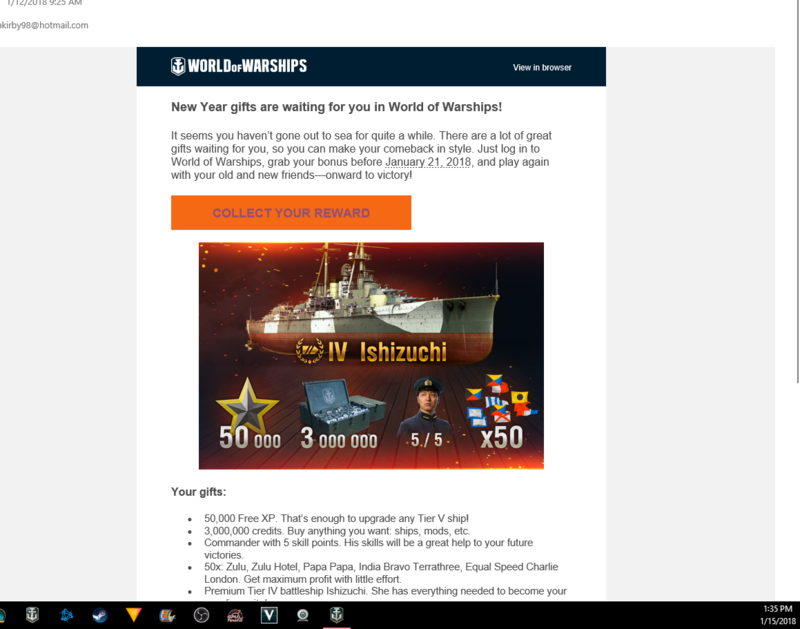 I haven't been able to play wows for a couple weeks because of classes but when I finally got back, I noticed that wows had sent me this email (check attached screenshot) saying I got these rewards, but when I logged on, they didn't show up. Any help? You need to click on the link, collect your bonus code and enter it in the Premium Shop. Really...I haven't stopped playing long enough for this to have happened to me but I've read (many) other comments of people saying they just logged in for the 1st time in awhile & the IchyCoochie was just there.